​The Qolsys IQ Panel Telefonica is an all-in-one DIY security solution for protecting your home and property 24/7. The unit features six wireless communication modes for secure and fast connections with all of the components of your system. It supports up to 75 Z-Wave connected devices and 242 users. The IQ Panel uses a dedicated cellular connection with Alarm.com to ensure that you can still manage your system even if the power goes out or your WiFi network fails. With the mobile home security app, you can monitor the status of the unit and its components remotely. You can receive real-time alerts for user access or whenever a breach occurs on your property. The user-friendly interface is easy to navigate, making management a breeze. The real power of the IQ Panel comes with the limitless customization options that you’ll have with additional sensors and devices. You can set automation rules for all of your connected smart devices. Installation is quick and simple to get you the peace of mind you need fast. The settings and menu of the IQ Panel are intuitive that anyone can easily master. The unit uses dual path connectivity between WiFi and the Telefonica cellular network for reliable and fast communication without redundancy. Your command center will continue to function even if you lose power or an intruder tampers with the unit. You can use the panel to manage all of the smart devices in your home such as wireless thermostats, lights, and garage door openers. For example, you can set up a light to turn on during the evening to make your home appear occupied even you’re away. You can also create a smart rule to sound a siren if motion is detected in a room. The possibilities are endless. The IQ Panel can take the safety and security of your home or business to the next level with Z-Wave devices including smoke and CO detectors. You’ll receive instant alerts on your computer, phone, or smartwatch if there is a dangerous situation in your home. The IQ Panel is a seven-inch touchscreen with a slot for a microSD card. It has a glass break detector and a built-in camera for alerting you to unauthorized access to the unit. It can use up to six wireless radios including Cellular, WiFi, Bluetooth, Image Sensor, Security R/F, and Z-Wave. It runs on the Android OS for an intuitive user experience. It has a built-in speaker and microphone so that you can communicate with a monitoring service agent if your provider supports 2-Way Voice. It features a 24-hour battery backup and a customizable photo frame for displaying your own pictures as a screensaver when the unit isn’t in use. You can also opt to turn the panel off at night through the Settings menu. You can extend the capabilities of your control center with integrated services from Alarm.com. You can set up smart notifications and email alerts with customizable text. Using the site’s mobile app, you can manage your security system remotely. You can view its status and arm or disarm the unit no matter where you are. You should create an account on Alarm.com before installing the command center. Then, begin by installing the hardware to connect your panel to the power supply. Mount the unit at an easily accessible location. When you power it up, the screen will guide you through the rest of the process. The next step is selecting a WiFi network and entering your credentials. You’ll then need to run system and cell tests to sync your IQ Panel with the Alarm.com servers. The unit will automatically update your software if necessary once it’s connected. 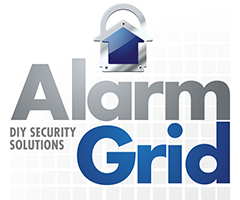 Your next task is to set up additional Z-Wave devices and security monitors to your system. Supported components will extend the range of protection in your home or business. You can add up to 30 lights, six door locks, five thermostats, and 18 smart sockets. The IQ Panel also supports other types of devices such as water valves, smoke detectors, and repeaters. You can program automation rules for each one to tailor your solution to your particular needs. To avoid false alarms, set a delay for the primary entrances to your home to give you time to disarm the IQ Panel when you return home. Alternatively, you can perform the same action with the mobile app. The unit is compliant with the latest SIA False Alarm Standards. The home screen provides the current status of your security system. You can return to it anytime by pressing the Home button on the bottom of the panel. You can arm the control panel by pressing the Lock icon on the top left of the screen. Orange means that it’s activated in Stay mode when you’re at home. Red indicates that the unit is in Away mode. You can customize how each connected sensor and device responds with home automation and smart rules. You can easily manage the unit and the components through the Setting menu located in the footer of the home screen. You can control the photo frame, add users, and change device options. The IQ Panel has a 24-hour battery backup for continual operation. The footer also has icons for contacting your service provider and accessing the Help section with its selection of video tutorials and FAQs for troubleshooting issues with your system. The mobile app gives you the same capabilities when you’re away. For optimal performance, spend the time to become familiar with the operation of the IQ Panel to take advantage of what it has to offer. The Qolsys IQ Panel Telefonica is a smart choice for the DIYer who wants a robust system with plenty of customization options to create a tailored solution. With the ability to add up to 75 Z-Wave devices, you can set up home automation rules to manage your home’s security to match your needs.